If you've been a loyal reader for a few years, you already know that I adore Milk. But, while I've shared my experiences with Milk's desserts several times in the past, I never showed you Milk's savory offerings. 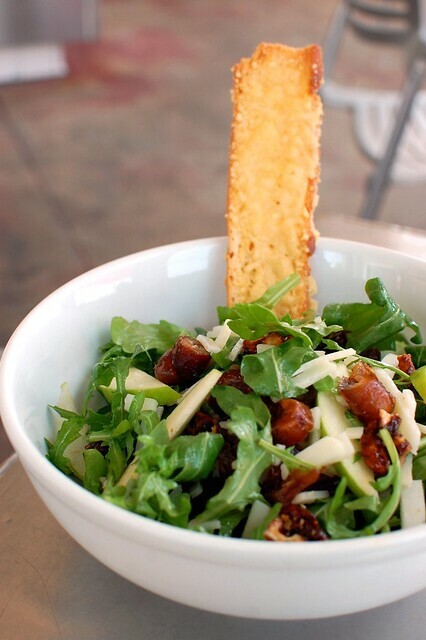 Manchego cheese and whole wheat grain salad with baby arugula, select seasonal fruit, dates, caramelized walnuts and walnut vinaigrette ($12). A salad that will actually make you go, "Ohhh, yeah!" 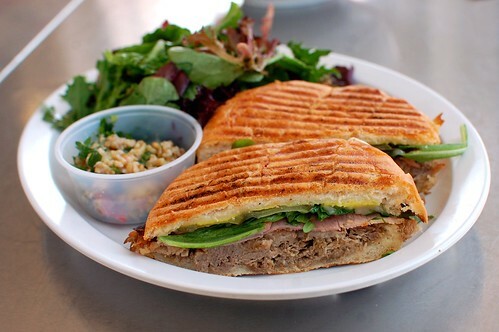 Medianoche -- roasted pulled pork and ham with Manchego cheese, pickles, and roasted garlic mayo ($12.50). Fresh, pressed, hot, meaty, and cheesy. 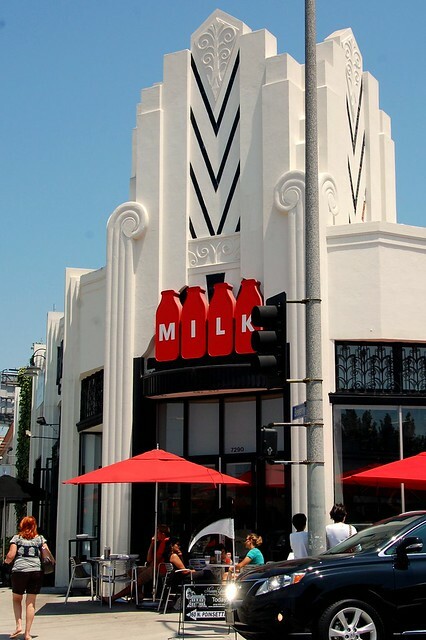 As pleasant as the salads and sandwiches are, we all know what Milk does the best! 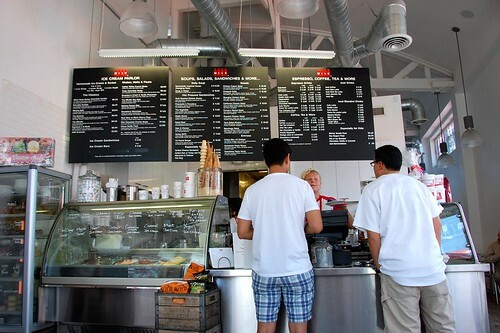 Ice cream sandwiches are $4.50 each. 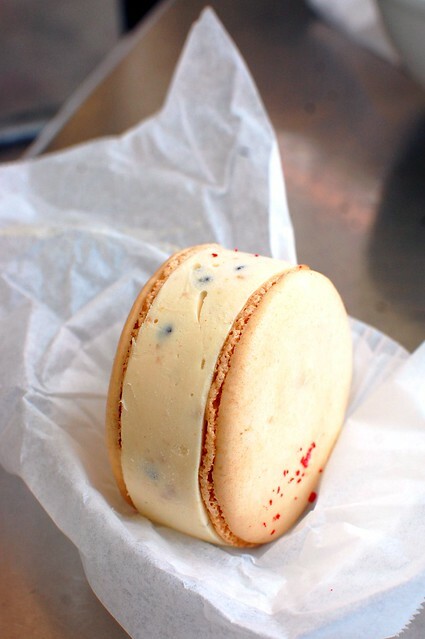 Giant macarons with gobs of ice cream! 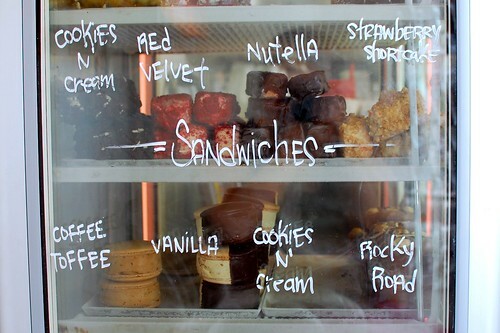 Our red velvet and peanut chocolate chip sandwiches were fantastic. They always are. I am still drooling from your original Milk posts. This has just enhanced my need to go there immediately! Word. 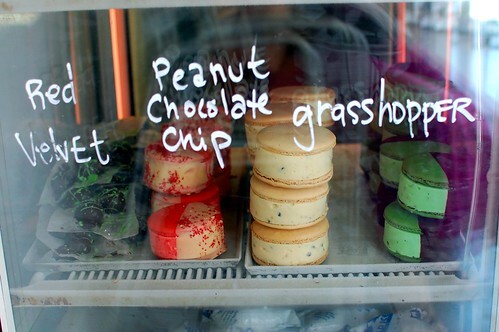 Those ice cream sandwiches look so beautiful and delicious! 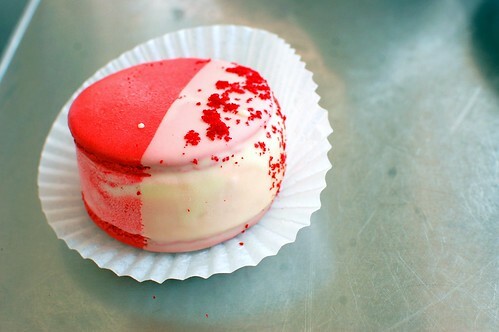 I like the idea of using macaron shells. Gotta get one. I could really get into those savory options! i need to go again. soon. 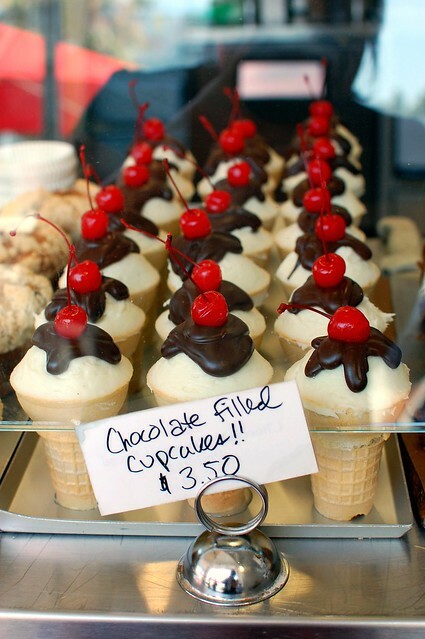 the milkshakes/malts are so good, too.